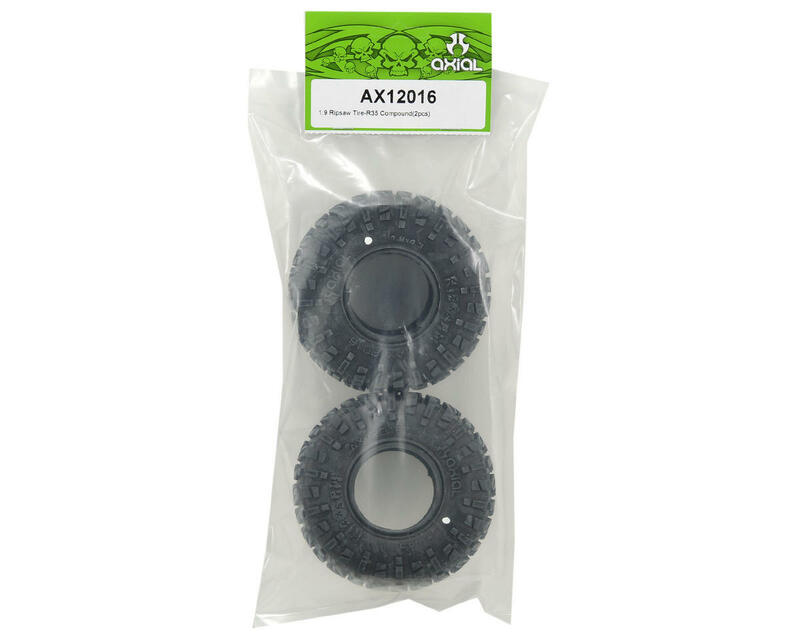 This is a set of two Axial 1.9 Ripsaw Tires, in R35 Compound. 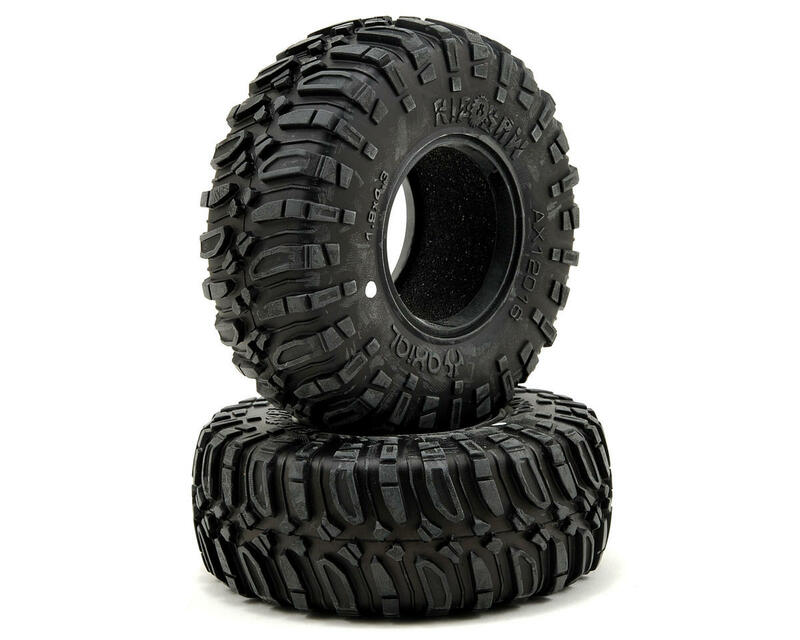 Axial's 1.9 Ripsaw tire is the little brother to the bigger 2.2 Ripsaw. Designed for scale looks and performance, this tire performs well in all situations. Throw mud, rocks, water, sand or dirt at them...it will make no difference. Axial's Ripsaw 1.9 tire will make short work of it all!